I was just in Sfat after many years.. came at 02:00 left at 04:00 did go to the Ari Mikve and to Rabbi Shimon of Breslev's grave. 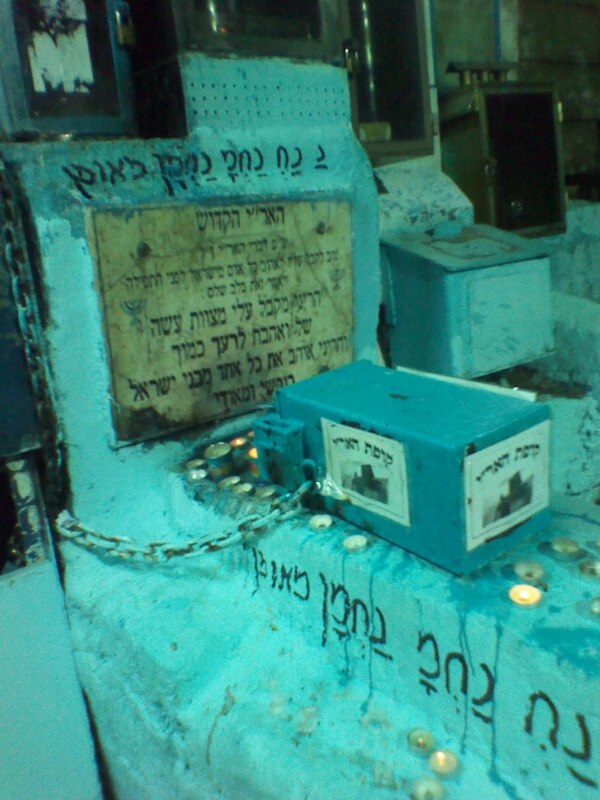 Did not see the Grafitti on the Ari's tomb... but thanks to Nanach.net, I DID! PS also I walked all the way to Tiberia where my son took a picture of the old yeshiva where Saba found the petek, from the courtyard where he is likely to have danced. My son did not visit Rabbi Meir Bal Haness, he did swim in the lake.